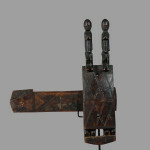 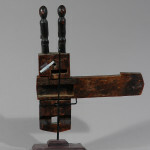 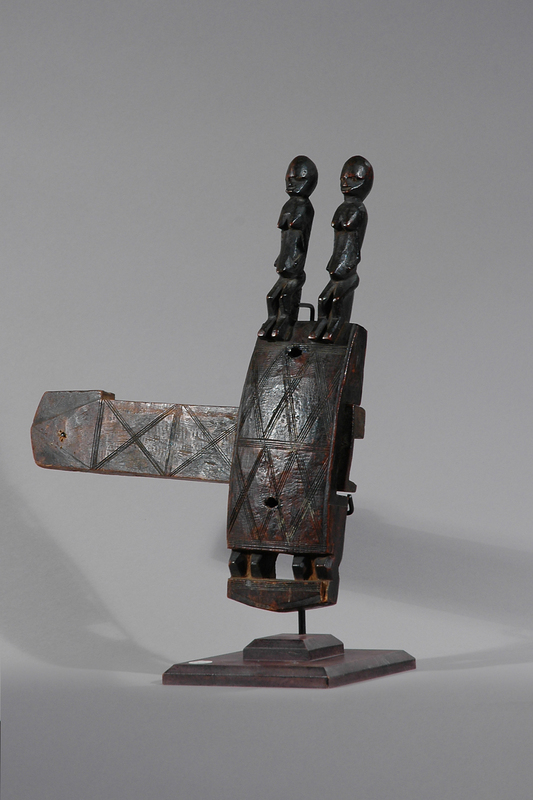 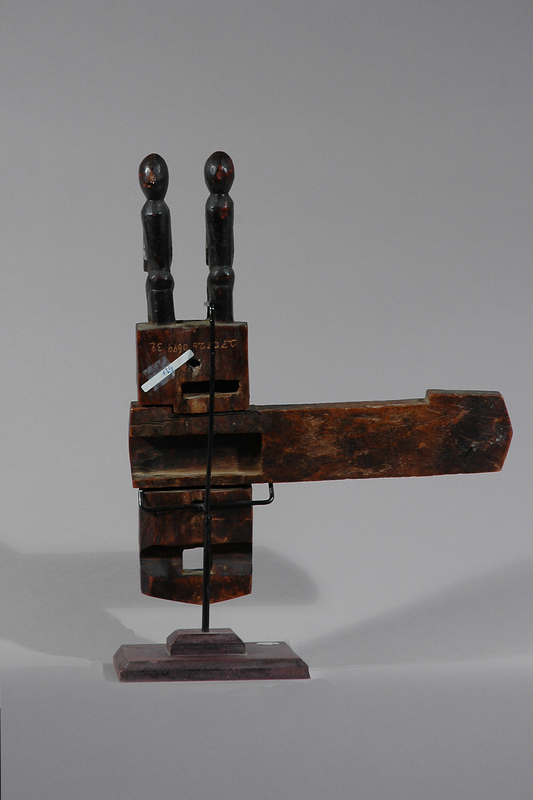 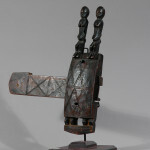 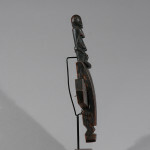 Used to protect houses and granaries, Dogon door locks range from the abstract and symbolic representations of myths, ancestors and scenes of life. 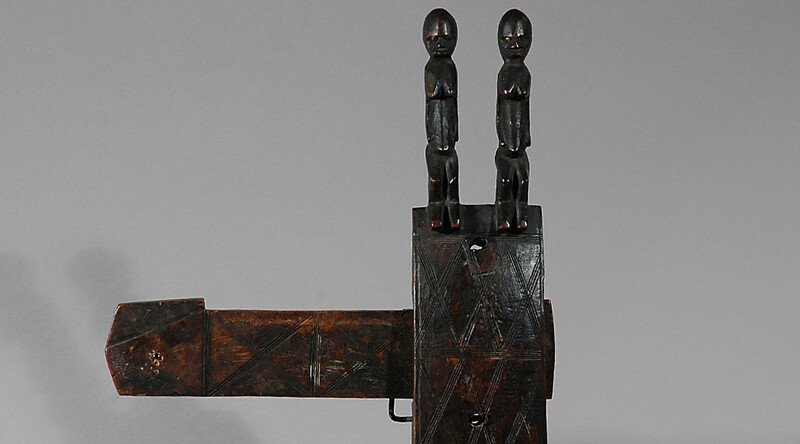 Placing an image of an ancestor on the door lock offered additional protection by making the door sacrosanct. 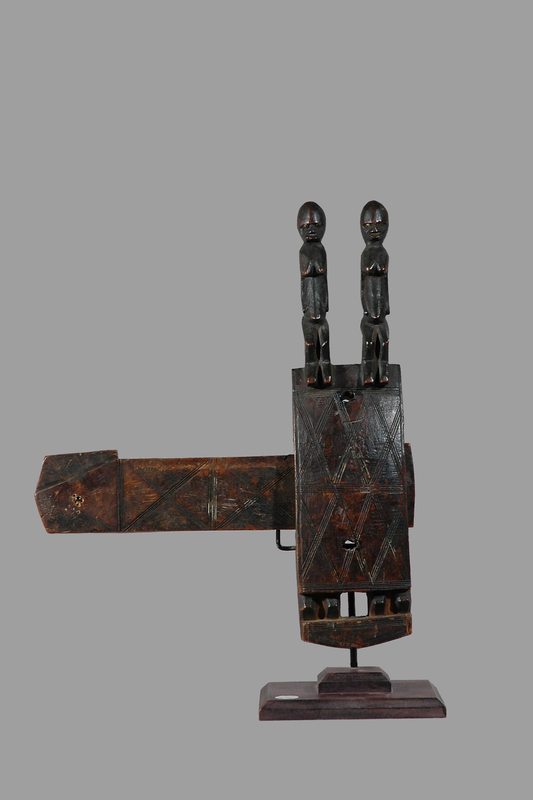 The masterful art of the Dogon is characterized by the rendering of the human body in an abstract way, reducing it to its essentials. 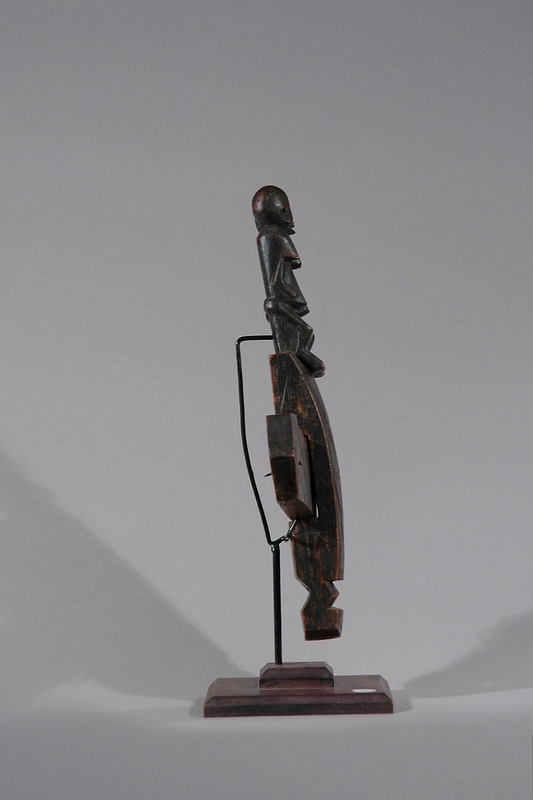 Some are extremely elongated with emphasis on geometric forms.Their art deals with the myths whose complex ensemble regulates the life of the individual.